Newcomer Family Obituaries - Rosemarie H. Zehnder 1928 - 2019 - Newcomer Cremations, Funerals & Receptions. Rosemarie Helen Zehnder, age 90 of Kettering, passed away Tuesday, January 22, 2019 at Kettering Medical Center. She was born December 30, 1928 in Springfield, Ohio to the late Samuel and Lena (Rapp) Vatter. In addition to her parents, Rosemarie was preceded in death by her first child, Deborah Marie, husband over 50 years, Greg Zehnder, Sr.; her son, Greg Zehnder, Jr.; her sister, Freida Grueser and niece, Karen Chester. She is survived by her children, Marc (Kim) Zehnder and Lisa Zehnder; grandchildren, Marc (Alexis) Zehnder, Josh (Michelle) Zehnder and Sarah (Steve) Edwards; great grandchildren, Lola, Lucy, Liam and Ellie and her brother, Samuel Wm. “Bill” (Beverly) Vatter as well as many other extended family members and friends. 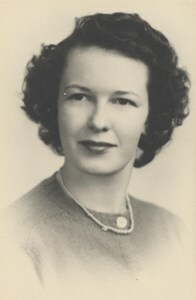 Rosemarie was a 1946 graduate of Springfield High School. She was soon married and began her family always supporting her family as a homemaker and dedicated wife and mother. Rosemarie served as a former President of the Republican Women’s Club and had been a life-long member of the St. John Lutheran Church, Springfield. She enjoyed sewing, knitting and gifting her family and friends with Christmas stockings and other hand-made treasures. Rosemarie will always be remembered as a loving mother, wife, grandmother, Papaw and Great Grandma Coco and the kindest person you’d ever meet. Family will receive guests from 9:00-11:00 am Saturday, February 2, 2019 at Newcomer Funeral Home, Kettering. Services will immediately follow at 11:00 am also at the funeral home and officiated by Pastor Andrew Brewster. Procession to Evergreen Cemetery, West Carrollton, OH for burial will conclude service for Rosemarie. Memorial contributions may be made to Samaritan’s Purse at PO Box 3000, Boone, NC 28607, American Diabetes Association at P.O. Box 15829, Arlington, VA 22215 or Alzheimer’s Association at 31 W. Whipp Rd, Dayton, OH 45459. To share a memory of Rosemarie or leave a special message for her family, please click the Share Memories button above. Add your memories to the guest book of Rosemarie Zehnder. I've known Rosemarie since 1972, the year I met her daughter, my lifelong, dear friend Lisa. I have never seen Rosemarie angry and have never heard her say an unkind word about anyone. She was truly a kind and sweet person. Often, people would get me and her son Marc confused with her because we, too, have frequently been referred to as kind and sweet. I know she was deeply faithful to Jesus and while it doesn't seem like she influenced me during my wild child days (entirely Lisa's influence and fault), she actually did make an impact on me and eventually I got saved and saw things Rosemarie's way. Rosemarie is lucky, as am I, to have her daughter Lisa who selflessly cared for Rosemarie for well over a decade. What a life she had doing her crafts and living a good life, a clean life, a life that lets you fall fast asleep when you put your head on the pillow knowing you will either wake to a family who loves you, or wake to a glorious homecoming in heaven. I will cherish every gift she sent me, every embroidered ornament and stocking. But most of all, I will cherish the daughter she brought into this world and left behind to keep being my rock, my confidante, my hilariously witty, artistically talented friend Lisa. Hang in there Lisa. I need you to be strong now. No matter how old we are as children, our parents hold a special place in our hearts that can never be replaced! I am sorry for your loss of your mother. I hope as a family you can find comfort in each other and in God's promise for be comforted knowing that God is "near to those that are broken at heart, and those who are crushed in spirit he saves"-Psalms 34:18.